Rank: Private, 10th Royal Fusiliers. Second Lieutenant, 7th Battalion, the Queen's Royal West Surrey. He was an avid cricketer and was a member of the Lloyd's Register Cricket XI. 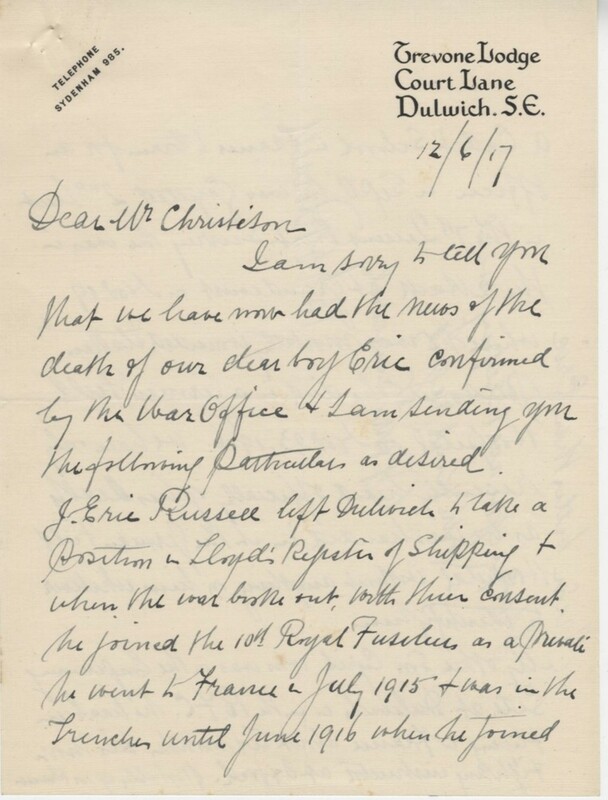 David Carter, author of The Stockbroker's Battalion in the Great War, provided us with information about Russell's service. As was commonplace across the country, Pals Battalions became increasingly popular and a way of encouraging more men to volunteer. Pals Battalions were made up of men from the same cities, towns, communities, work places, who joined up and fought together on the frontline. Though popular, they were later discouraged as it meant the male population of entire villages could be wiped out at one battle. The Stockbroker's Battalion was one of these Pals Battalions, made up of men who worked around the City of London. Carter was able to provide us with information regarding Russell's military career. Between 18th and 19th November 7: RWS were involved in attacking trenches near Courcelette. Russell's brother Cyril died in March 1919 as a result of the Spanish Flu pandemic. 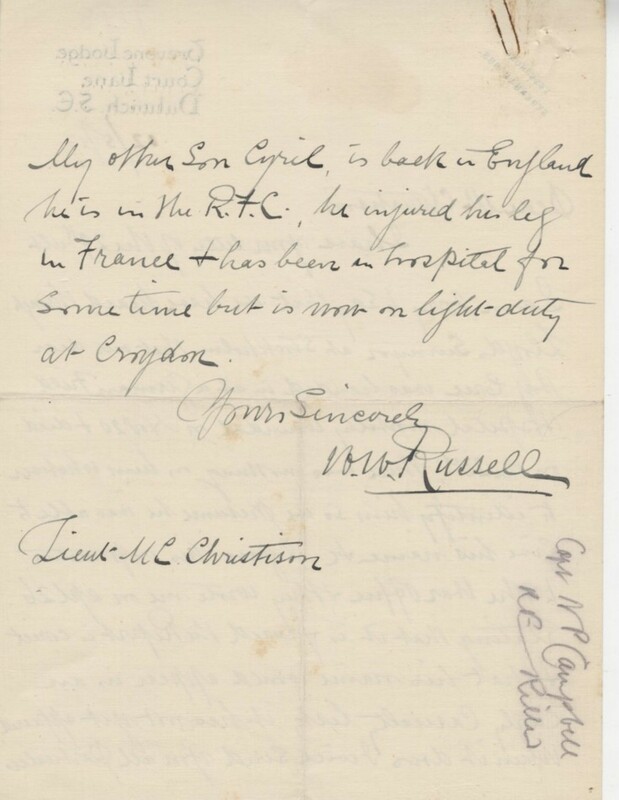 Russell's grave can be found at the Queant Road Cemetery, France. 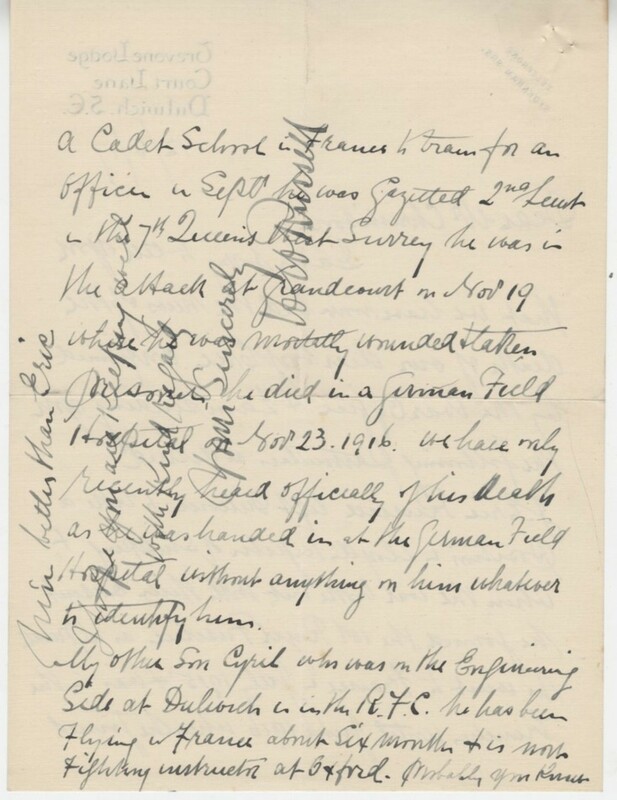 For further burial details, including Russell's grave registration report, visit his portal on the Commonwealth War Graves Commission website. 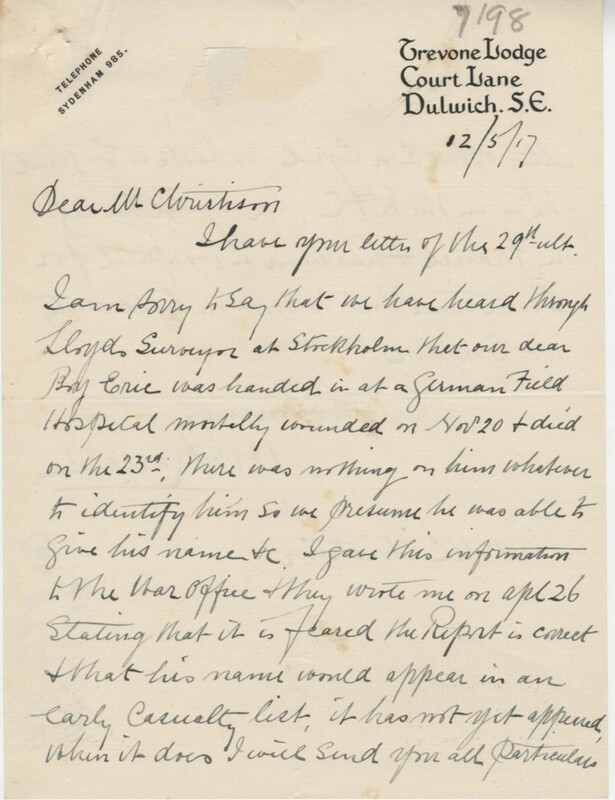 More information about Russell can be found on the Imperial War Museum's Lives of the First World War website, The National Archives or through the Dulwich College First World War memorial project. Photographs of the letters have been published with kind permission of the Governors of Dulwich College. If Joseph E Russell is one of your relatives or you know more about his life, get in touch at hec.info@lrfoundation.org.uk!